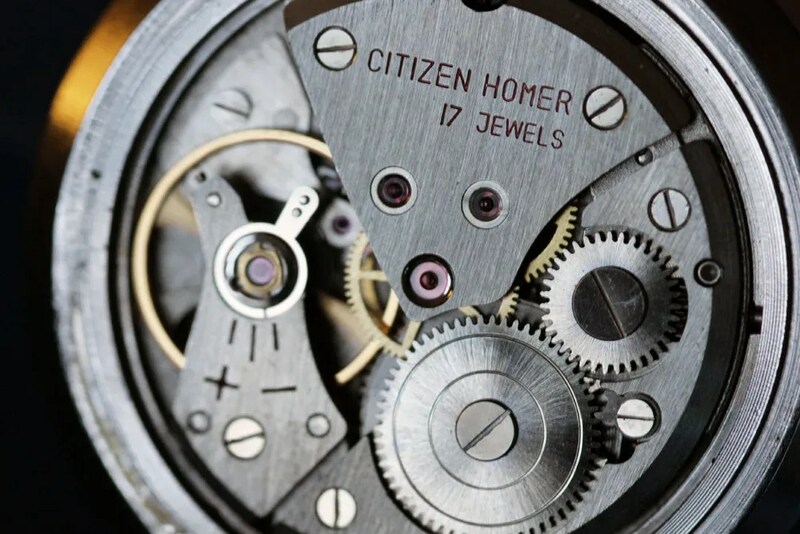 The humble ‘Homer’ was Citizen’s workhorse hand wind movement for many years. First produced in 1960 I believe it was produced right through to 1980 or so, not only in Homer badged models but in others as well – notably the ‘Newmaster’. It was also used in some Rhythm Time models. 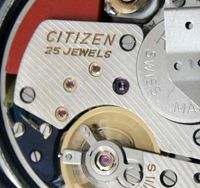 The Rhythm Time company was affiliated to Citizen in the 1950s and produced entry level mechanical watches, often in smaller sizes for youngsters. This post is about the first and simplest Homer model, which used the 0200/0201 movement. Other Homers were made with date and day windows, but they are for another day….. When first launched the Homer was most commonly produced in gold plated cases, which were more popular in that era. 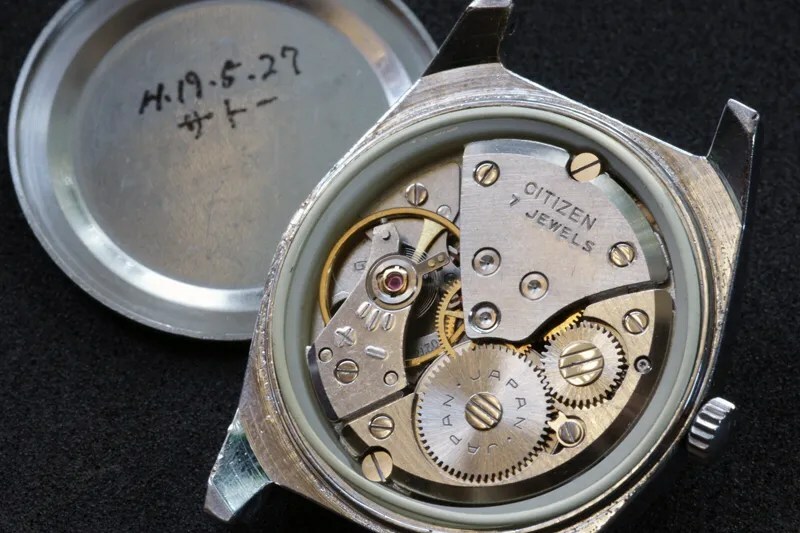 And despite their humble place in the quality hierarchy early models often featured textured and patterned dials, whilst some had hexagonal and square cases. Hopefully I’ll show more of them when I do a page / article on the range. In the early 1960s there were also a few Homer variants – the ‘Guppy’, the ‘Special’ and, featuring red, yellow or green dials – the ‘Pansy’. 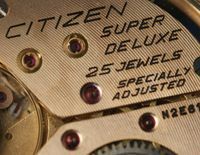 The stylised crown marker at 12 o’clock is also seen on the ‘Newmaster’ models, whilst the case back is now screwed on rather than a snap on type. Why the name ‘Homer’? I don’t really know the answer to that, but the Greek meaning of it I believe is to do with ‘security’ or a ‘pledge’ – makes sense that this was chosen since this movement has proved to be very sound and reliable. 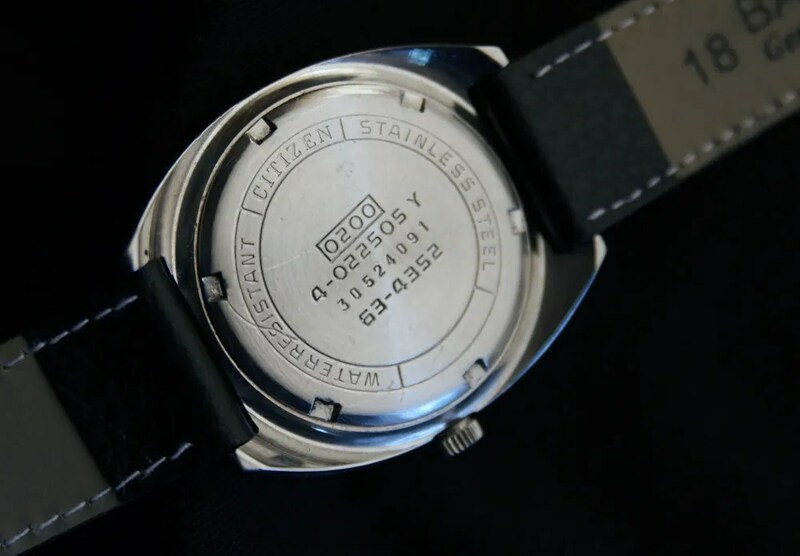 This entry was posted in Vintage Watches and tagged Citizen Homer, Vintage Citizen Hand Wind. Bookmark the permalink. good to hear that the blog is useful. 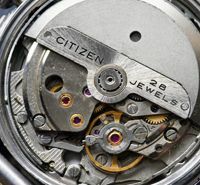 It’s interesting to read that your watch has the 17 jewel movement. 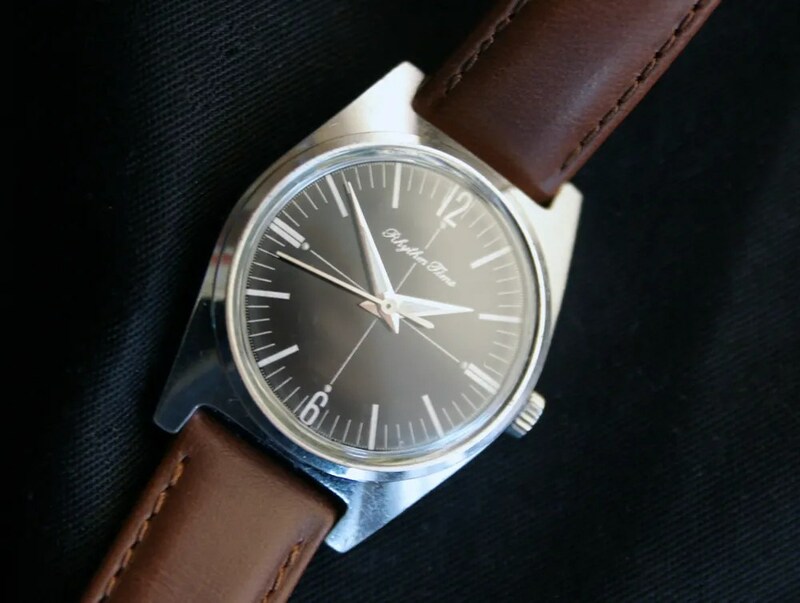 Is the dial marked ‘Rhythm Time’ and does it have the jewel count on it? I didn’t know you replyed to my comment, almost a year ago!! Sorry for not beeing aware. 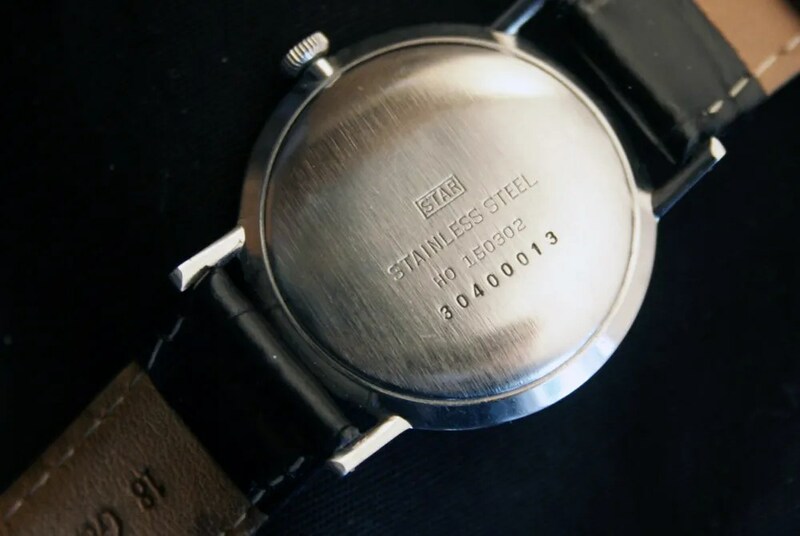 I concluded that my watch is a Rhythm Time case because it is too small and is not stainless steels. 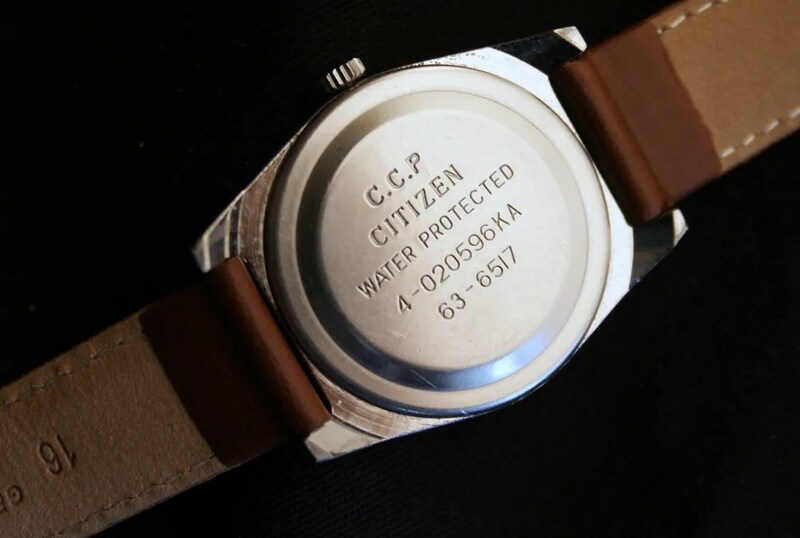 Let me try and include an image of my small boy’s size citizen with the Homer movement and dial. 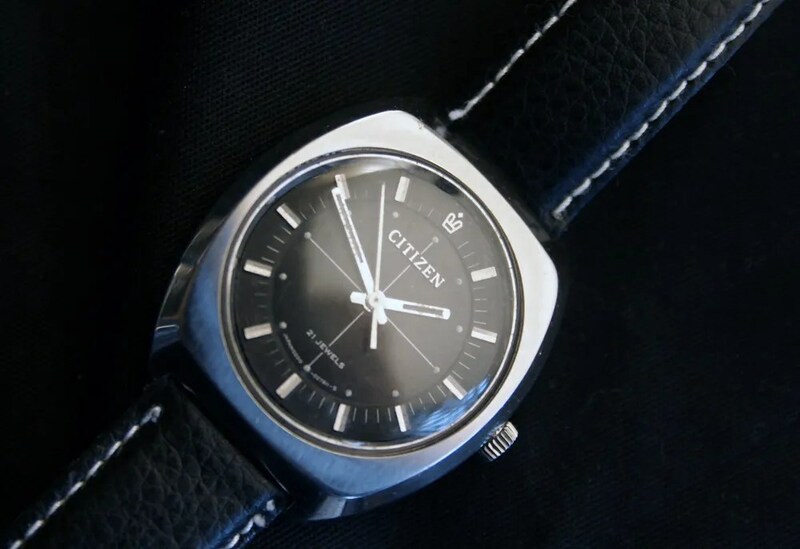 I just want to share some pics of my citizen that we commented a year ago. 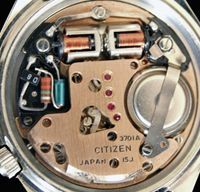 It does look like a ‘Rhythm’ watch, in the 1971 catalog these are listed in the Ladies watch section. 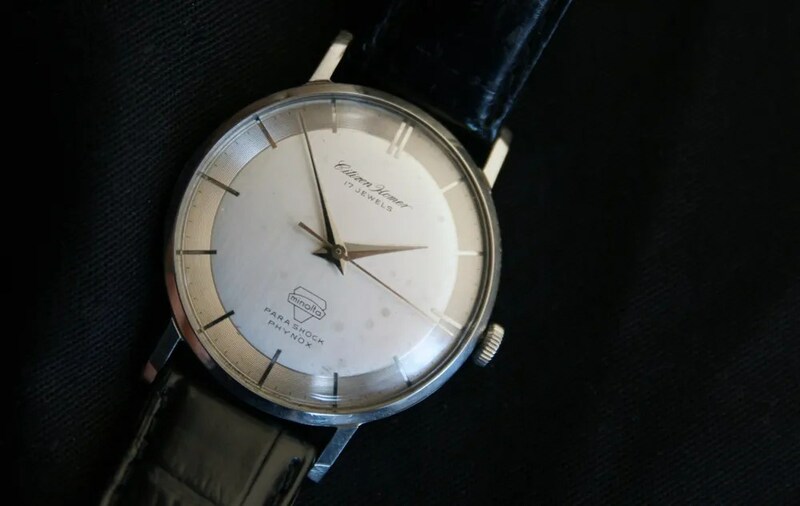 Although not marked ‘Rhythm Time’ this model looks to be one of those, using the Homer 17 jewel movement. 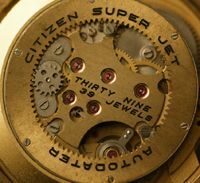 The Rhythm Time company was acquired by Citizen in 1953. Since this one is marked waterPROOF and shockPROOF it was probably made for export, in the early 1970s I would guess. Does it have a serial number Jorge? This seems to be working 🙂 Thanks for the pics Jorge.